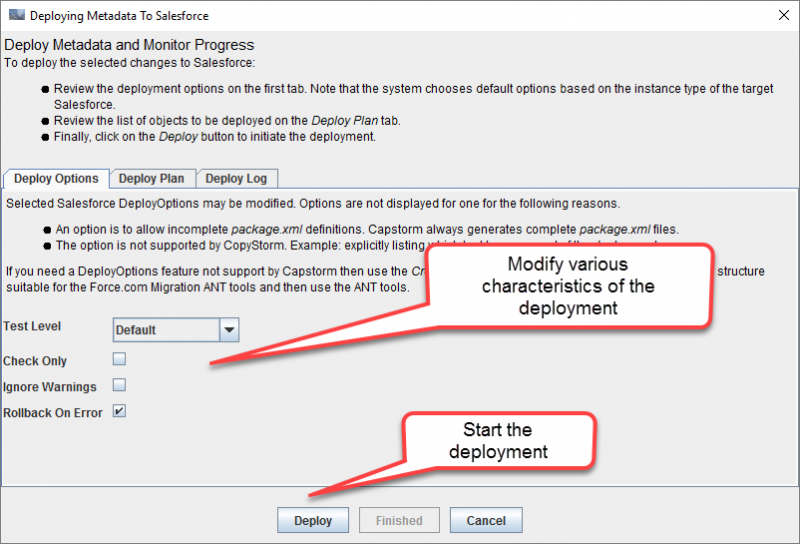 Review/update the options controlling the deployment. Generally the only step a user needs to do is click on the “Deploy” button. 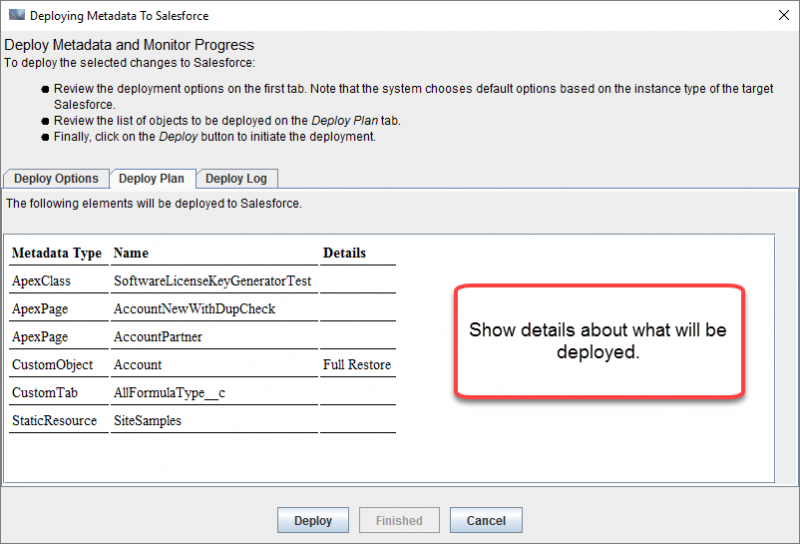 The Deployment Options tab controls how the deployment is executed. 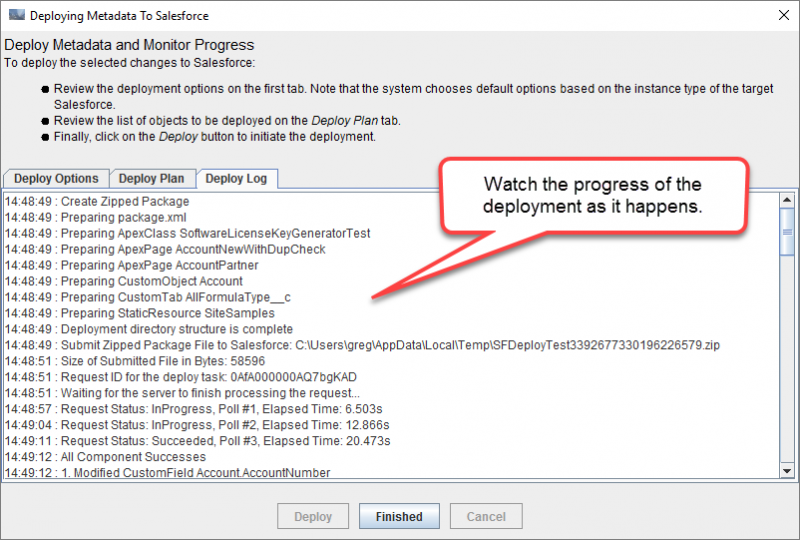 The Deploy Plan tab lists a summary of all metadata objects that will be deployed. This is used as a final review prior to launching the deployment. 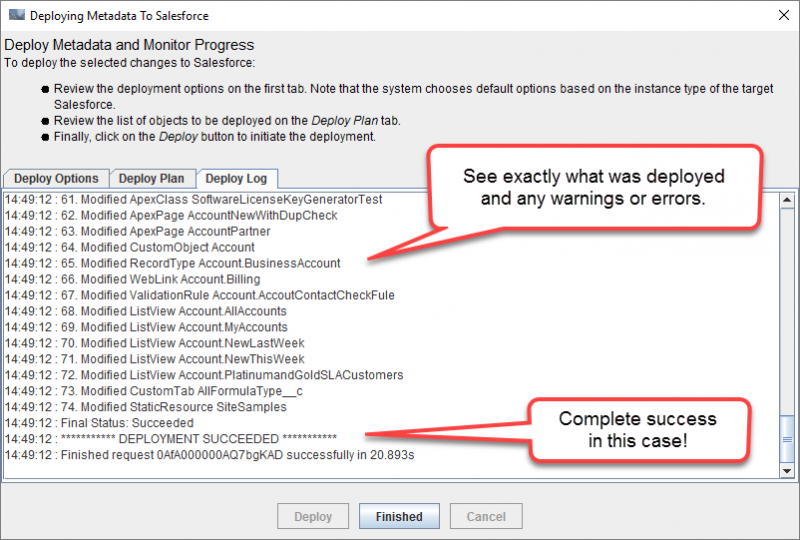 The Deploy Log tab shows the progress of the deployment as it happens and provides a way to cancel an active deployment.